They said they wanted to make something for their dad (Aren't they the sweetest??? )...and because they know how much Ryan loves rocky road, they wanted to make another rocky road treat for him. They remembered that Ryan really enjoyed the No-Bake Rocky Road Bars that I made before, and since I just made Rocky Road Ice Cream last week, all the ingredients they needed were available in the pantry. 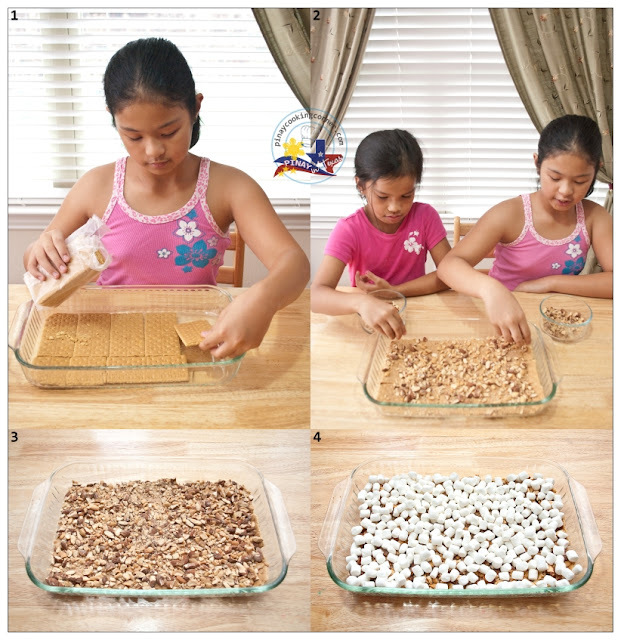 With no second thoughts, they said they will make rocky road bars for their dad on their own...and guess what? They did it! All I did was prepare all the ingredients and take pictures. They did the rest, and I must say that they did a good job! 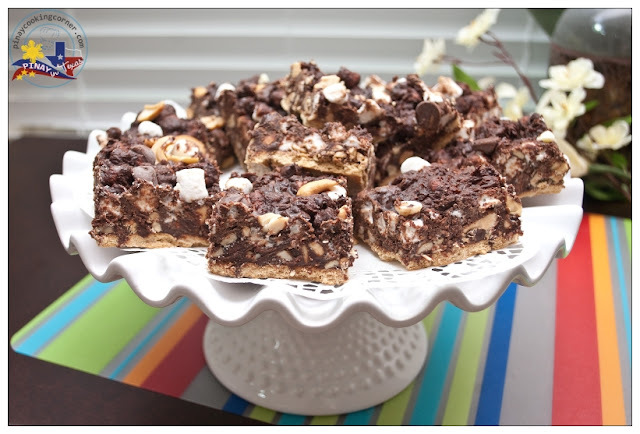 Clarise and Cherlin's No-Bake Rocky Road Bars came out perfect and Ryan loved them! These are yummy treats that you can make with your kids. I'm pretty sure that you will have fun making and eating these! 1. Arrange graham crackers close together in a 9x13" baking dish, breaking them to fit if necessary. Top with almonds, cashew and 1 cup marshmallows. 2. Combine chocolate chips and condensed milk in a bowl. Microwave for 1 minute. Stir. Microwave in 10-second intervals until smooth. 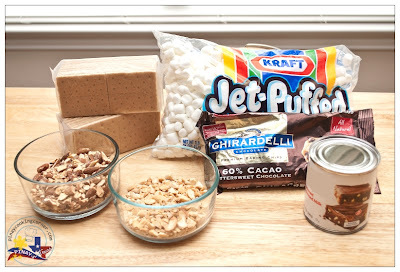 Pour chocolate mixture over nuts and marshmallows. Working quickly, mix together with a spatula, making sure that the graham crackers crust remain intact. Top with remaining marshmallows and some more nuts and chocolates chips. Refrigerate for 1 hour or until set. Cut into squares. 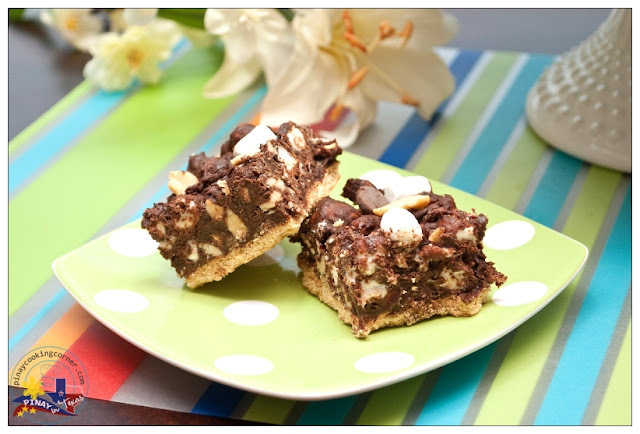 I like this no bake rocky road bars is delicious by itslef and also that your princess are putting togther. Cuties. Adorable! My kiddos are just in the first week of summer vacation. I need to get them doing something like these- they would love them. The no-bake desserts are great for summer time! 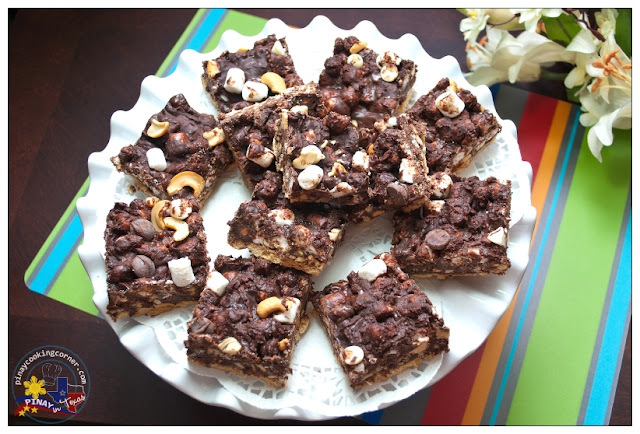 Your kids are adorable, and those rocky road bars look amazing!!! Summer is always fun because of the kids being around. Yes you kids are sweet and thoughtful. Hope you guys are having a great week, Tina! No bake?? That's totally cool for non-bakers like me! The kids look like they are having a lot of fun "baking" these! I'm sure they enjoyed them just as much once assembled! :) Hope you're having a great week! Beautiful girls with such love for their Dad is wonderful. They're so cute and look so hard at work. So nice of them to make those for your dad, they look super tasty!